Natalie is a qualified acupuncturist, reflexologist and massage therapist practising in the Cheltenham and Gloucester area. She treats a wide range of conditions and specialises in fertility acupuncture and cosmetic acupuncture. Acupuncture is a safe and effective way of treating a wide range of conditions, please contact me for more information. Also known as Cosmetic Acupucture, this is a non-surgical, holistic treatment to revitalise the skin. Combined with an acupressure facial massage for optimum results and wellbeing. Natalie specialises in acupuncture as a support treatment for women undergoing or thinking of fertility treatment or other conventional therapy. 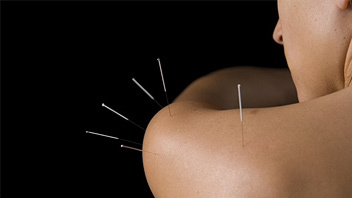 Acupuncture is a tried and tested system of complementary medicine. It has been used in the East to help restore, promote and maintain a sense of wellbeing for thousands of years. More and more people are finding this long established therapy can offer an effective solution to a range of health issues. 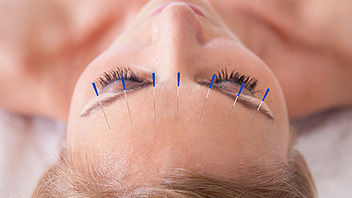 Acupuncture is now widely used and accepted all over the world. Natalie provides a mobile service to the Cheltenham and Gloucester area, and has a clinic in Churchdown. Bad back: I have occasional bouts of sciatica. When it comes on the pain is so severe I can hardly move. I had acupuncture and massage with Natalie and it eased the pain immediately. Now if I do get sciatica, I have acupuncture straight away and that sorts it out. Fantastic massage, very relaxing and therapeutic. Can highly recommend. Natalie is a qualified acupuncturist, reflexologist, and massage therapist practising in the Cheltenham and Gloucester area. She treats a wide range of conditions and specialises in fertility acupuncture and cosmetic acupuncture. © 2018. Natalie Harrison Acupuncture. Privacy & Cookies Policy.